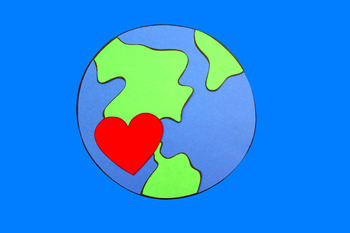 This Earth Day Craft Activity AND Creative Writing Project is a perfect way to celebrate reduce, reuse, and recycle with your students and get them crafting and writing. Simply print and craft with templates ready to copy on colored paper. 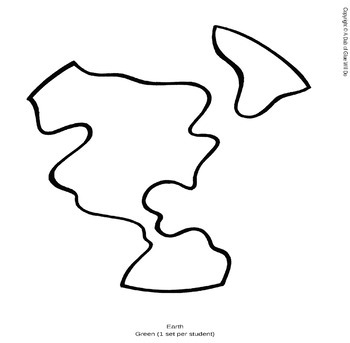 No tracing needed, which will save you hours of time. 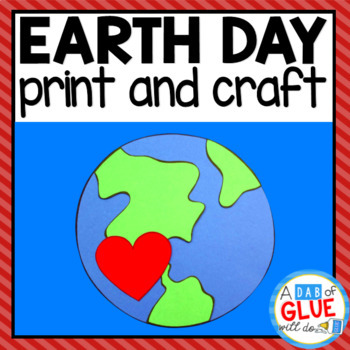 Your students will cut and glue their Earth Day Activity paper craft and will then have 3 creative writing or expository writing prompts that match the paper craft activity. 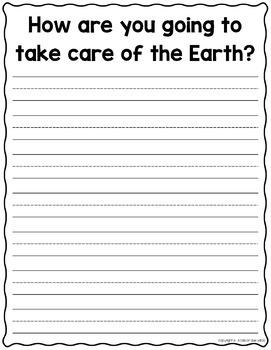 This spring writing activity that encourages kids to take care of the Planet Earth also comes with a blank writing prompt template so you can use your own writing prompt. The paper craft is perfect to support Preschool curriculum, Pre-K curriculum, Kindergarten curriculum, First grade curriculum and Second grade curriculum. The writing prompts on lined paper ready to copy are perfect for your advanced Kindergartners, First graders, and Second graders. This Print and Go Paper Craft is part of a larger year-round, MEGA Growing Print and Craft Bundle. To get more information on that, click HERE. To get more information on our week long Earth Day Science Unit click HERE.